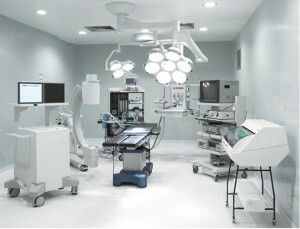 The "central command station" of each floor in a hospital (aka the central nurse's station) plays a critical role in the proper operation of OR suites, isolation wards, and other critical spaces where room condition is crucial. Floor nurses and circulating nurses are tasked with monitoring multiple rooms in their wing, which requires them to physically check each room's condition via the room's condition monitoring device. This manual process takes time away from other important activities that these nurses must complete each day. Why is manually monitoring room conditions such a big concern for hospitals? Manually checking room conditions prevents nurses from focusing on other important activities that require their full attention. The ideal solution to address the issues is a centralized device located in the central nurses' station that enables viewing and alarming of remote spaces. Such a device would communicate with each room's existing room condition monitor and relay data back to a central location where nurses are able to ensure that each room's conditions are within the appropriate parameters. One such solution exists with the Multi-Room Monitoring Station (MRMS). 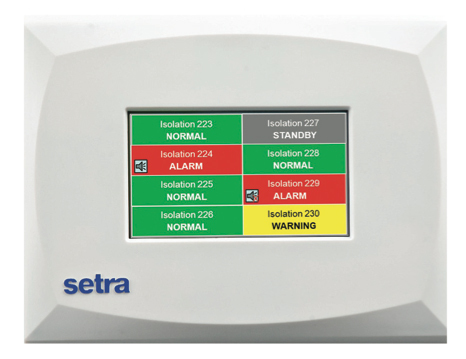 This device can monitor up to 8 critical spaces that are equipped with BACnet enabled devices such as the Setra Room Pressure Monitor (SRPM) or Setra Room Condition Monitor (SRCM). What makes this device even more appealing is the AutoDiscover feature which enables faster setup and reduces installation labor costs when compared to other products. Q: What type of room condition data can the MRMS display? A: Pressure, humidity, temperature & one other user defined parameter. Q: How does the MRMS communicate with other devices? A: Through BACnet MS/TP Protocol. Q: How do I connect other devices to the MRMS? A: Any device on BACnet MS/TP protocol can be seen by the MRMS through the AutoDiscover feature. Q: What happens if the conditions of a room goes outside of the set parameters? A: The MRMS has audible and visual alarms that alert you of the issue. Q: My nurse's station has limited space for new devices. How big is the MRMS? A: We understand the importance of other monitoring equipment, which is why the MRMS is only 7.5" x 6", significantly smaller than other similar devices, and flush mounted for easy cleaning. Q: Do I need any special equipment to interact with the MRMS? A: No. The MRMS is equipped with an elegant color touch screen to simplify the user interface. Q: Is the MRMS compliant with industry regulations? A: Yes. The MRMS is CE and CSA compliant. For more information about the MRMS or other room pressure monitoring devices, simply fill out the contact request form or call us at 978.263.1400.